Like most other EA mobile games these days, Madden NFL Mobile for PC is a free-to-play release. Compared to the previous offerings in this series, however, it’s a lot fairer when it comes to insisting on the so-called Madden Cash. If you don’t mind this kind of monetization approach, the new Madden Mobile has quite a lot to offer. 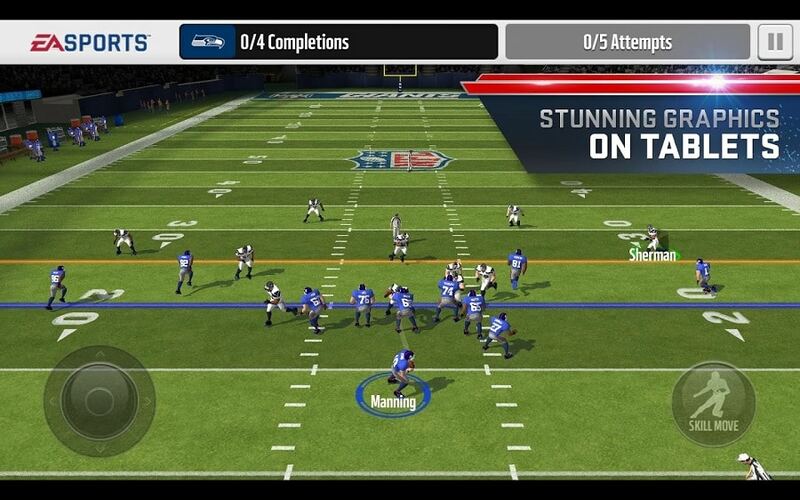 Once you’re done with tutorials, Madden NFL Mobile for PC opens up in a big way. There are three main modes to choose from – season, head-to-head and live events. They all provide vastly different types of gameplay, and none of them are particularly reliant on micro-transactions. The Season Mode comes the closest to what most people consider ‘standard’ Madden gameplay. During these games, you’ll be in charge of your team’s offense and defense; the more you level up, the more of the playbook you will unlock. The controls are focused around a context-sensitive action button, which is a welcome change to the finicky tap controls from previous games. Head-to-head games are still asynchronous, which is a nice way to provide a multiplayer option without requiring the players to focus exclusively on their match. These games are all about the offense, with both players alternating their offensive drives depending on the situation. The one thing you can do in order to stop those drives is to guard against specific plays; if you guess correctly and your team’s awareness is high enough, you’ll manage to break up the play. Finally, the Live Events are a collection of challenges you can tackle to earn player cards or collectibles. These challenges are constantly changing, and you can choose to participate at your preferred pace. The upgrade system is fairly complex, and you’ll usually need to complete certain card sets to unlock some of the more impressive rewards. As we’ve come to expect from EA, the graphics in Madden Mobile are impressively detailed. The animations are getting pretty close to what we can see on consoles, which is an outstanding feat in its own right. Other than some infrequent graphical glitches involving the wrong team colors, it’s hard to fault the game’s visual presentation. Just to get this out of the way – yes, the game still contains Madden Cash and a Stamina system which encourages micro-transactions. The main difference is that you don’t really need to spend real money if you don’t feel like it. Once you level up a little, you’ll be able to spend quite a lot of time without having to wait for the Stamina meter to fill up. Compared to the previous years, coins seem to be easier to earn as well. Playing regularly for a few days will allow you to assemble a solid team at absolutely no cost. If you’re not feeling patient, you can still use Madden Cash to upgrade your entire team to Gold level at a moment’s notice. 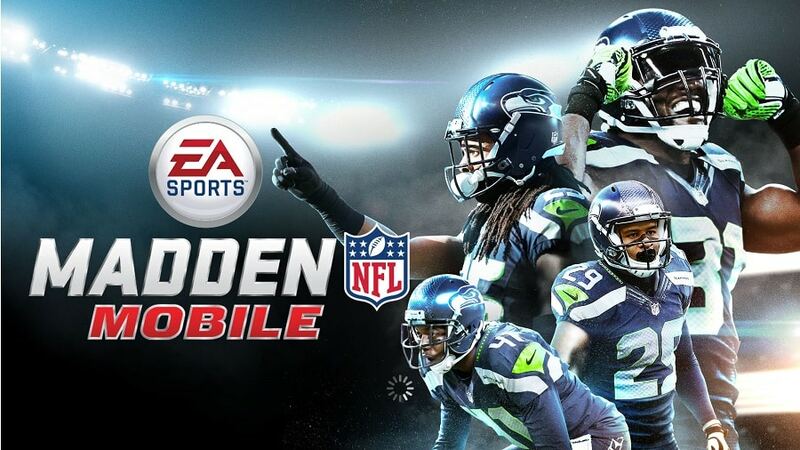 Madden NFL Mobile for PC has clearly come a long way, though it still has some space to grow. If you feel like playing some Madden on mobile, this should be your number one choice. Considering Madden NFL Mobile android APK is free to download as well, there’s really no reason you shouldn’t give it a try. Sometimes when playing Madden NFL Mobile, bluestacks ask you fee to pay but gives you option to download some apps. Every time it asks you just select “Install apps” and continue using it free. I hope you enjoyed this article, please rate and share. If you have problems running Madden NFL Mobile on your desktop or any other issues, leave a comment below. So How do I download Madden NFL Mobile onto my PC? Follow the instructions below How to download/play … section.